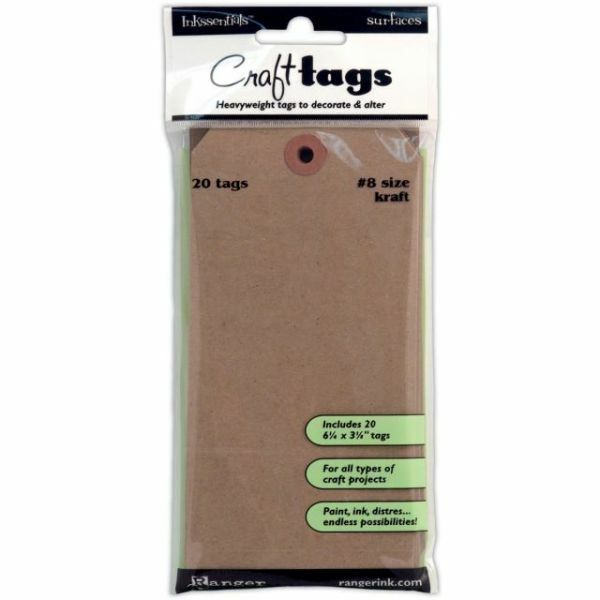 Inkssentials Brown Kraft Surfaces 20/Pkg - RANGER-Inkssentials Brown Surface Craft Tags. 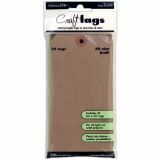 Ranger's Brown Craft Tags are the perfect blank surface to stamp, ink, paint, emboss, decorate, embellish and alter! Black core and smooth finish accepts all types of medium and durable cardstock works on wet and dry techniques. This package includes 20 surfaces. Available in a variety of sizes: each sold separately. Made in USA.